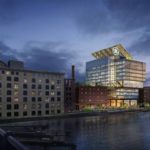 Fresh images of General Electric’s new Boston headquarters have surfaced, courtesy of GE and architecture firm Gensler, which is based in San Francisco but has an office in Boston. 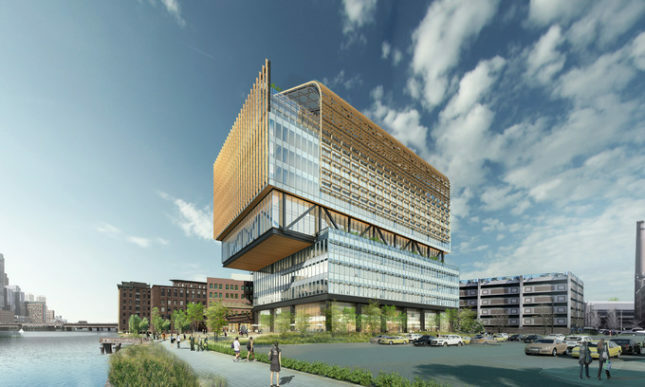 Earlier this year General Electric (GE) announced they would be leaving their Fairfield, Connecticut headquarters, which they originally moved to in 1974. 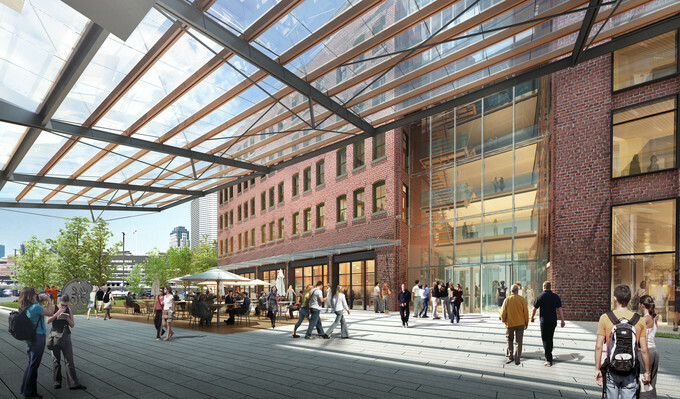 A new location was chosen in Fort Point on the Boston waterfront. 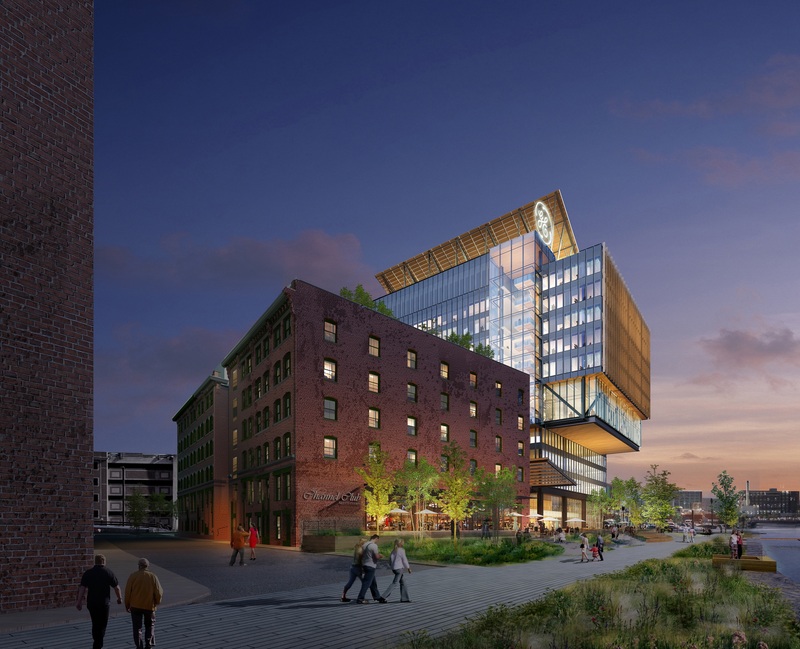 GE will remodel two historic brick structures on the site and build a new 12 story building. 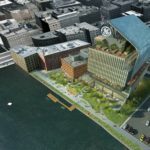 The company says their new site—which will accommodate 800 employees—will encourage public employees to commute by public transportation, biking, and walking. 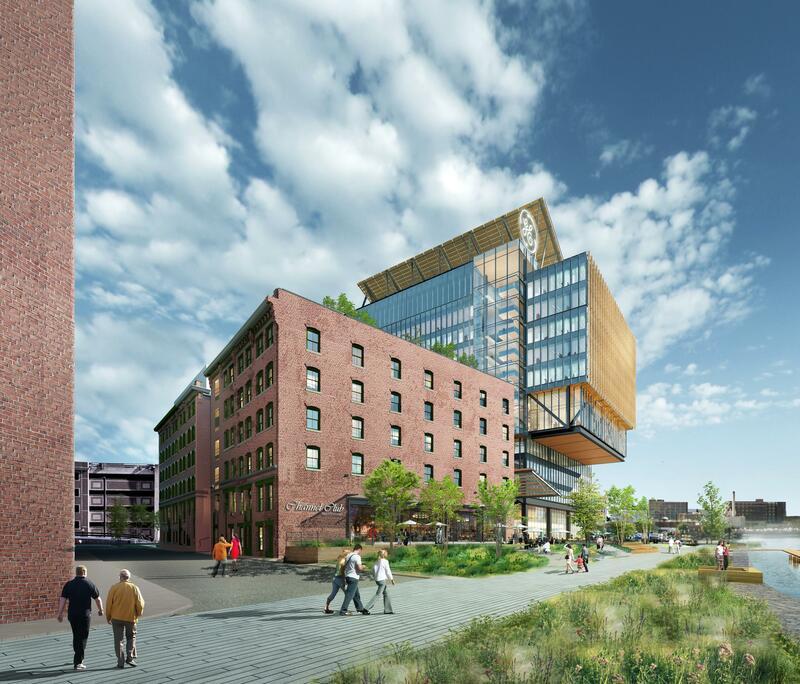 According to Bldup, only 30 new parking spaces will be constructed on site as part of an underground garage. 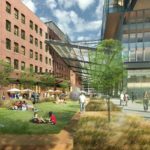 GE’s new location, which they describe as a “campus,” will include a public coffee shop, restaurant, and 1.5 acre public outdoor space. 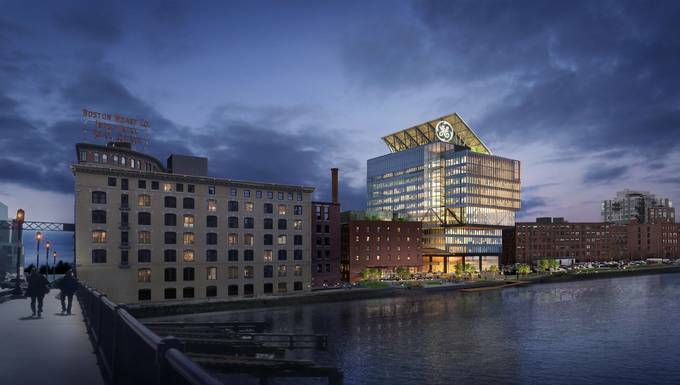 Among its other sustainable features are a rooftop solar system and vegetated roof areas. 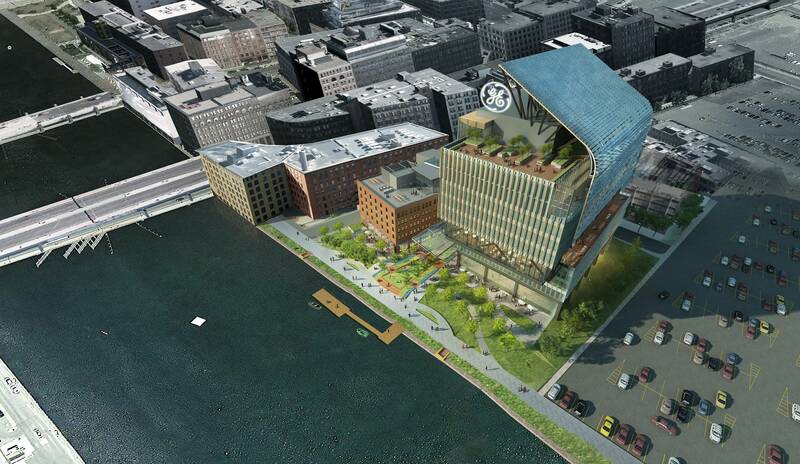 GE isn’t the only major corporation to move into an urban center this year. 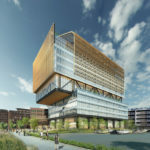 McDonalds recently announced that they would move their headquarters from the suburb of Oak Brook to Downtown Chicago. Kraft made a similar move after their merger with Heinz. 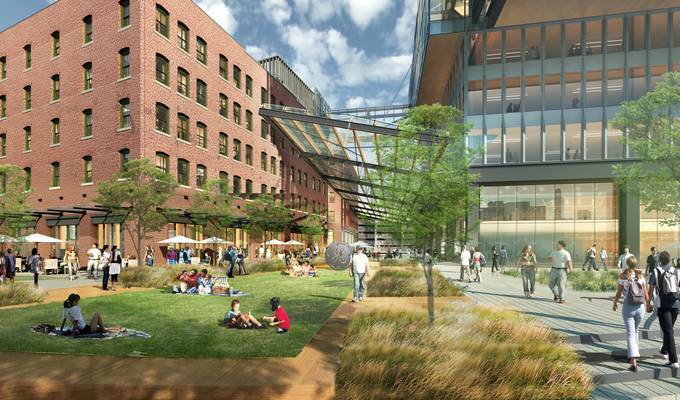 Companies who once deliberately moved out to expansive suburban campuses are finding new financial and logistical incentives to return to cities. 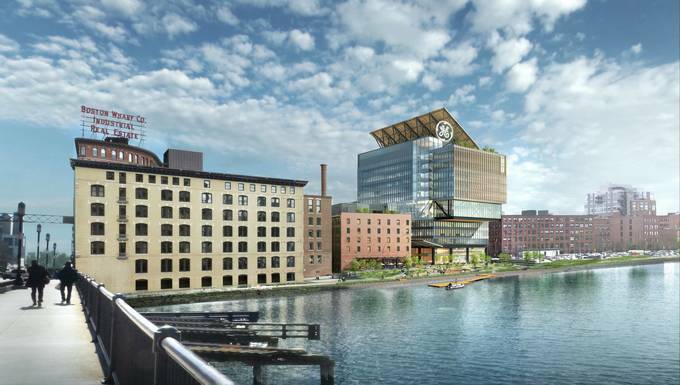 Cities are also more attractive than suburbs to the younger generation of workers, whom GE is actively courting. 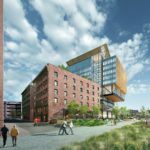 According to a press release the campus will include a “Maker Space” for tech startups as well as university and high school students. The move is scheduled to begin in the summer of 2016 with employees relocating to a temporary Boston location. 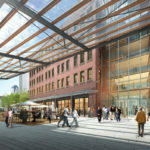 Their Fairfield campus will be sold, along with their offices in the building at 30 Rockefeller Center that once bore its name. 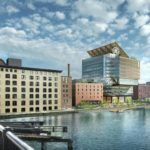 This, along with incentives from the city of Boston and the state of Massachusetts, will offset the moving and construction costs. 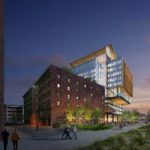 The company expects the move in to be completed by the end of 2018.